Welcome to Day #10 of Chocolate and Brazil Theme Weeks. 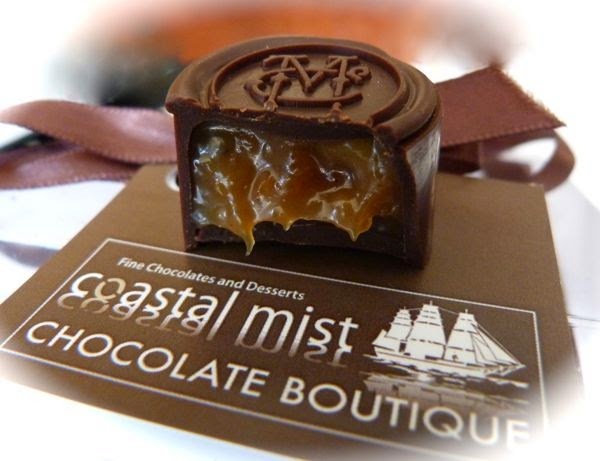 Today's filled chocolates -- two Alderwood Smoked Sea Salt Caramels with Brazil Nuts, were created by the Coastal Mist team that includes Nicole Malloy (owner, chocolatier) at Coastal Mist Fine Chocolates and Desserts (Bandon, OR). 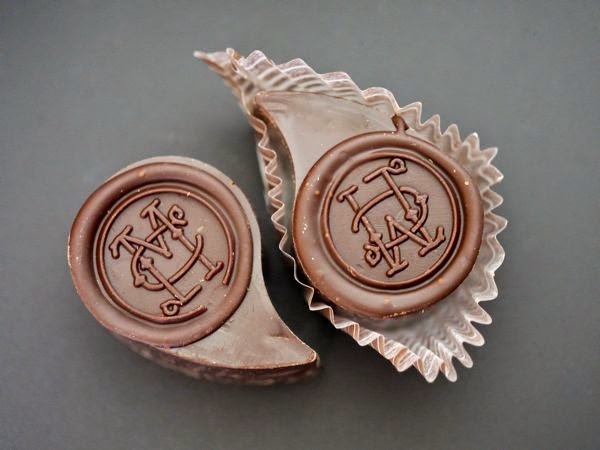 This attractive, curved teardrop (paisley-shaped) chocolate was embossed with a CM (Coastal Mist) logo.